Happy Woman's Day in Bansko! Bansko is a city full of events! Can’t wait for Summer 2019! Trifon Zarezan or Valentine’s Day? Delicious Degustation Dinners in November at PREMIER! Summer Finale: Time for new memories! Hiking Paths just outside PREMIER! PREMIER is a Finalist Nominee at 6th Annual World Ski Awards! Every Weekend Beauty Experts Meet at PREMIER! Be Romantic, be royal, be Premier! International Women's Day (IWD) is celebrated in March every year. It is a major day of global celebration for the economic, political and social achievements of women. In Bulgaria, this day is very important and it is a day completely devoted to women! Cosmopolitan Cocktails at Nectar Bar. Enjoy Madonna's favorite cocktail! Indulging Spa Offers to relax, refresh and rejoice! Here's to the strong women! May we know them, may we be them, may we raise them! To book your seat at Amvrosia Restaurant, please contact Reception. Valentine’s Day seems to rule the world and more and more people are celebrating this day. However, the small Balkan nation of Bulgaria, has for centuries celebrated another holiday on February 14 – the one of Trifon Zarezan, which is dedicated to the love of wine. Today, a peculiar mixture of the two celebrations takes place on that day and we cannot really choose between these two celebratons. Wine and love are a perfect combination, though, aren’t they..? A funny legend about Saint Trifon may actually be the missing connection between Trifon Zarezan and Valentine’s Day. Once, Saint Trifon went to his vineyard to cut the unnecessary branches from the vines. He was focused on his work when a beautiful woman passed by. He was so enchanted by her beauty, that he accidentally cut his nose with the clippers! Every year, from the beginning of February, there is a public dispute between the two celebrations in Bulgaria. Arguments are in favor of making Bulgarians stick to their roots and traditional holidays, on one hand, or justifying the freedom of people to celebrate whichever occasion they want, on the other hand. Recently, February 14 has been turned into a combined holiday when Bulgarians celebrate their love for their better half, or their love for wine. The best scenario however, is celebrate your love with lots of wine! Cheers! PREMIER Luxury Mountain Resort today announced it has been recognized as the winner in the Top 25 Hotels in Bulgaria category of the 2019 TripAdvisor Travelers’ Choice® awards for Hotels, ranking first out of 25. It was also announced the winner in the categories: Top 25 Luxury Hotels in Bulgaria and Top 25 Hotels for Service in Bulgaria. Travelers’ Choice award winners were determined based on the millions of reviews and opinions collected in a single year from TripAdvisor travelers worldwide. To see TripAdvisor traveler reviews and opinions of PREMIER go to our Tripadvisor Link. Let’s create for lovely memories together! On 20th January, Bansko will be again part of the famous World Snow Day. The festival gathers mountain lovers, snow aficionados and winter sports maniacs at the best mountain resort in Bulgaria in order to celebrate together the most exciting day! Snow castles, hot drinks, music and treats await guests at Banderishka Polyana. The daily cards for the ski lifts in Bansko for all children under the age of 12 will cost only one leva this day! This exciting event is part of the International Ski Association's campaign called "Bring Children to the Snow". It is an annual snow celebration for children and families. Let’s celebrate together this year, PREMIER Luxury Mountain Resort will be there! If the love of your life is a total ski bum, he/she will fall in love with you again at PREMIER Luxury Mountain Resort! This year, celebrate your love with the most romantic escape on the snowy Pirin Mountains. PREMIER has created the perfect package for the perfect love! Bansko celebrates Valentine’s Day at PREMIER with a specially designed romantic dinner and a whole package for passionate couples, which is full of love! From gourmet meals and sweet treats, to relaxing spa treatments and outstanding amenities, guests can celebrate Valentine’s Day with a truly exceptional experience. Love with passion in the most romantic setting... Book your romantic escape now! Not to miss: On the 14th of February Bulgarians celebrate the day of St. Trifon Zarezan. Celebrate the day with a great variety of wines! This Festive season, kids at PREMIER who will dine in Amvrosia Restaurant and Nectar Bar will come across a wonderful surprise! PREMIER has created the most delicious and playful kids menu for your little angels! Our Kids menu is to be exciting and tasty - designed to amaze your children! In addition, our Executive Chef has prepared a great surprise for them - an awesome edible present, which will excite their dining experience! Your little ones will love it! Also, a station with rich collection of food -especially designed for children- will be placed next to the animation area on the New Year eve. PREMIER's animators will create lovely memories with your children. PREMIER wishes to you Merry Christmas and a lovely New Year! PORTO CARRAS joins PREMIER in Bansko for a night full of great wine on Friday 14th December at 21:00 at Nectar Bar! Guests of PREMIER Luxury Mountain Resort will have the unique opportunity to taste some of the best wines of the renown domaine of Porto Carras, meet and learn from the winemakers as they will be showcasing their top wines. Whether you’re a dedicated wine enthusiast or simply want to learn a bit more about wine, Porto Carras’ wine tastings offer a truly unique experience. Wines of exceptional quality are to be presented at Premier Luxury Mountain Resort. Be there! Guests of PREMIER will have the chance to enjoy LIVE performances of SALONIC STARS on 24th and 31st December. Majestic violin & saxophone tunes together with sparkling voices! This will be an unforgettable experience! On 24th December get ready to enjoy Marianna G, member of Salonic Stars, the famous singer, the finalist of X Factor, with her magical voice. Enjoy also Black Duet, the talented duet (Georgios Kiourtziadis & Ioannis Tsougkouzidis) who thrill everyone with their music. Black Duet’s collaborations prove their greatness: Urgant, Dimitri Malikov, Valery Meladze, Irina Kryg, Coco Pavliashvili. Don’t miss them! On 31st December: Get ready to meet the whole band of Salonic Stars and enjoy the absolute live violin experience by Alexander Kiourtsiadis, the first violin at the State Opera Orchestra of Greece. With him: Marianna G – the talented singer with the majestic voice, Cristina Ziridou, Ioannis Ts & Babis Prodromos. SALONIC STARS will excite you! Join PREMIER during Festive Season and get the chance to enjoy LIVE the most talented artists. This November, PREMIER organized PREMIER GASTRONOMY FESTIVAL in Bansko for the 7th consecutive year, celebrating the love of taste and the passion for culinary creations! November in PREMIER is always delicious and full of wine and degustation dinners! This year, PREMIER served 4 delicious degustation dinners inspired from truffles, modern and classic French cuisine thrilling the palate of everyone who had the chance to taste them. Complimentary Wine Tastings took also place before each degustation dinner, creating a gastronomic setting full of flavors and feelings! 7th Gastronomy Festival was this year transformed and called the new and talented Chefs to join! Young Chefs had the chance to meet new cuisines and elevate their cooking skills. They were introduced to the operations of a 5* hotel, participated in interactive professional workshops and gained both new skills and experience. Gastronomy Festival is an annual culinary celebration hosted by Premier Luxury Mountain Resort which brings together some of the finest Chefs from all around the globe in order to teach and create contemporary dishes that astonish and delight the senses. Flavors, colors and aromas from all over the world attract every November both professional Chefs and culinary lovers to Bansko at the renown Premier Gastronomy Festival creating wonderful foodie memories. Every year PREMIER wants to create something new and delicious. See you all next year with even more interesting culinary events! This Festive Season, try something out of the ordinary and celebrate in style in the backdrop of the snowy Pirin Mountains in Bansko, Bulgaria. PREMIER celebrates the holiday season with some seriously exciting packages, welcoming you to a lovely festive setting. Join PREMIER and enjoy exciting benefits which will thrill up your Holidays! Holidays at PREMIER give you the chance to taste gourmet Gala Dinners, fine wines from all over the world, get hand-delivered Christmas presents from Santa Claus and enjoy elegant Champagne Receptions as well as live music events! Guests at PREMIER pamper themselves in the contemporary Spa, delighting in the refreshing therapies and therapeutic massages. In the meantime, winter sport lovers enjoy fascinating skiing along with endless frolics in the snow. PREMIER’s Festive Program is designed aiming at guests’ total relaxation and enjoyment, providing memorable experiences for the whole family. Welcome to the elite’s choice, Premier Luxury Mountain Resort! In 2019 there will be 3 men's starts between February 22nd-24th for GS, Super-G, and Alpine Combined. To be more specific, on 22.02.2019 we all meet at the Ski Resort to enjoy a Super-G Combined. "You can't buy happiness, but you can enjoy some Ski..."
We can't wait for this year's championships! Breaking news! Bansko loves snow and can’t wait for winter season to launch. But… winter ski season is much closer than you imagine! Bansko Ski Resort’s grand opening is to be on 1st December 2018. Ski period in Bansko is planned to take place from 1st December 2018 – 7th April 2019. Don’t forget: Life is better on the slopes! 11.00 Fisheries tournament "The child of a fisherman away from drugs"
• On Saturday 3/11/2018 our New Executive Chef, Velin Velikov, presents us his brand new menu. A 5-course degustation dinner along with wine at 19.00 o’clock in Amvrosia restaurant. • On Saturday 10/11/2018 taste an extraordinary 5-course degustation menu inspired from TRUFFLES, served with wine. Our guest Chef has created this dinner to inspire you. • On Saturday 17/11/2018 taste a delicious 5-course degustation menu inspired from Classic French Cuisine, served with wine! A guest Chef of ours will create a memorable degustation night just for you. • On Saturday 24/11/2018 taste a delicious 5-course degustation menu inspired from Modern French Cuisine by a special guest Chef. You will definitely love it. Be GOURMET at PREMIER this November! The biggest film festival is about to take place in a few weeks in Bansko, Bulgaria. Get ready for a festival full of extreme sports, mountains and adventures in Bulgaria. The festival will offer the audience a unique experience in a special format – climbing, alpinism, freezing, extreme biking, kayaking, diving, surfing, etc. Participants will enjoy a great variety of presentations, workshops and exhibitions. This is the final Cultural Weekend "TRADITIONS AND ART" in Bansko. This weekend you will be able to watch the latest demos especially prepared for you. From 6 to 9 September, on the second floor of Visitor Information Center, the exhibition "IRON BROTHERS" - wrought iron by Radoslav Sarafov is to be launched. Premier Luxury Mountain Resort loves art and is going to be there. Ask our Reception for more information. From 7th to 9th September in the city park of Bansko international dog show exhibitions will be held. For a few years, the Bulgarian Republican Cynology Federation, in cooperation with Bansko municipality, have invited cinematics from all over Europe to show breeding dogs and to receive exterior assessments according to the breed standards. This year, dogs and owners will be judged by international specialists. The judges will be Zwi Kupferberg from Israel, Ventsislav Kitov - Bulgaria, Johan Barak Lifas - Israel, and Krassimir Todorov from Bulgaria, as well. All four judges are leading specialists, chairmen and founders of breed clubs, international judges for years. The event aims to attract the attention of citizens and tourists loving dogs, as well as being a place where everyone can learn new and useful things about pet breeding. Premier Luxury Mountain Resort is going to be there. Let's learn more about animals! Ask our Reception for more information. Bansko town is waiting for the biggest stars of the modern music scene in Bulgaria. Coca-Cola | The Voice Happy Energy Tour comes for the first time in Bansko, promising for 840 minutes of awesome music with Crisko, Mihaela Marinova, Mihaela Fileva, Skandau, Titta, Dara, DJ Doncho, Ballet Nova, Pavel and Venci Venc. The party begins on the first day of September, at 20:00 on the central city square - Nikola Vaptsarov Square. See you there! Bankso in September is exciting and Balkan Fest is ready to offer us fabulous performances from 6-8 September 2018. PREMIER Luxury Mountain Resort is a proud sponsor of this Fest and promises amazing moments. Discover here the official programme. The concerts start at 19:00 on the Nikola Vaptsarov square and the entrance is free. We can’t wait! Another amazing summer has come to an end, leaving behind the coolest memories. Premier Luxury Mountain Resort is ready to “FALL FOR FALL”, waiting to offer you special holiday moments. We are more than excited to welcome all of you to our Resort. In the months to come our visitors will experience unique and delicious moments, enjoying a journey full of different tastes. Guests will enjoy delicious dishes, unique cocktails and awarded wines, along with unlimited chocolate. Our services will be at your disposal as always. Our Kids Animation team is preparing new and exciting activities for our little friends, while you will have the chance to enjoy your dinner in one of our restaurants, Amvrosia Restaurant or Dionyssos Restaurant, or just drink your cocktail in our Bar. Of course, don’t forget to try our unique Japanese tea and our 100% organic Copi Luwak Coffee. For your complete relaxation, new therapies are waiting for you in our contemporary Spa. Premier Luxury Mountain Resort says a big THANK YOU to all of you who chose to spent your summer vacation with us. We can’t wait to host you again at your next escape. If you ask a Bulgarian hiker “Which is your favourite mountain?” the answer will definitely be “Pirin Mountain!”. Why is that? Pirin Mountain In Bansko Bulgaria attracts every outdoor and adventure lover, featuring an image of a real alpine-like mountain, paradise for those who like exploring the mountains, surrounded by breathtaking views and stunning landscapes. The name of Pirin originates from the name of Perun, who was the main god of the Slavic pantheon – the god of the thunder and lightning. PREMIER Luxury Mountain Resort in Bansko loves hiking and has created for its guests 3 special hiking paths, which begin just outside the hotel. Wake up to a sunny, serene summer morning, eat a good healthy breakfast, put on your trekking shoes and get ready for a hiking day with your family and friends! Make sure you take your camera with you, as you will definitely meet many instagram-worth settings. Hikers come across with cute wooden bridges, numerous trees and sparkling rivers. Choose the yellow (1,100 m), the green (1.380 m) or the purple path (3,130 m) and dive into the endless green. If summer in Bansko had a colour, it would be definitely green and if it had a smell, it would be the fresh smell of the forest and the numerous rare plants. Discover the forests, explore the region and end up having pic-nic in the most majestic scenery. Your kids will love it! The 9th edition of the Bansko Opera Fest comes alive from 23-28 August 2018, under the starry summer sky at the central square of Bansko town. Inspiring yet exciting, this will have it all! Guests will have the chance to enjoy the concert "ABBA TRIBUTE", the popular opera “La Bohème" and the world-famous musical "Zorro". The entrance is free. Can’t wait! "One Love Tour" - symbol of friendship between Bulgaria and North Macedonia, starts on 21 July 2018 with a lovely concert in Bansko. Participants: Actor Niki Stanoev, Stefan Valdobrev, Vladi Ampov-Grafa. From the Macedonian side - Vlatko Stefanovski, DG Sasko Kotzev and Statkaristika. Love aims to unite the fans from Bulgaria and Macedonia through the love for music. Join this celebration of music! The entance is free. Bansko town has the great pleasure to introduce you to some of the world's best boogie pianists, during the International Jazz Festival! Enjoy AXEL & LADYVA in a wild boogie-woogie evening! This is definitely a “Must Attend”! The International Jazz Festival in Bansko is the biggest summer musical event in Bulgaria. Every summer plenty of people from all over the world visit Bansko to enjoy numerous talented Jazz artists. Bansko town becomes a hub of art lovers, fans and tourists, who come to admire the Jazz Stars of today’s music world. Traditionally, the program features styles and groups representing almost all jazz trends. The evening concerts attract numerous of people to the open-air stage on Nikola Vaptsarov Square in Bansko. Throughout the Festival week jazz is also played during the day and late at night on various smaller stages in the large resorts, like PREMIER, bars and restaurants. The concerts are free for the public and the festival is organized with the aid of sponsors. Premier Luxury Mountain Resort is a proud sponsor of this wonderful Festival. Premier Luxury Mountain Resort is once again nominated at 6th Annual World Ski Awards, as the Best Ski in Bulgaria for 2018. Being so proud and having won the award 2 years ago, PREMIER returns, wanting some more love from its guests! The critical 16-week voting window opened on 1st June. Ski consumers and ski industry professionals can vote for who they think is the very best of the best. Voting closes on 22nd September when the winners will be notified in order that arrangements can be made to attend the 6th Annual World Ski Awards that will take place in Kitzbühel, 16th –18th November 2018. Will you show us some love? Please, vote for us! He has been practicing yoga for 18 years, since 2000. His teacher was Ventsislav Evtimov, the father of the Bulgarian Yoga Society. He was educated in Ukraine with yoga instructor Oleg Linih. He attended in Italy workshops on yoga with the famous instructor Dev Kapil. After an accidental participation in a yoga seminar, Ivan felt pleasure, inner peace and different view of the world on psysical and spiritual level. A whole new world was created for him and his way of living. Yoga helps to release the anxiousness, stress and changes the mind state completely. Yoga removes the negativity from our thoughts. Ivan starts with winning competitions in Bulgaria. This is not enough for him, so he decided to develop himself and prove his abilities abroad. He participated in Rome, in the International Yoga Competition becoming the winner winning the gold medal. Then in 2010 in Lisbon, Portugal he wins again the 1st place. Heading to Moscow, Russia for another challenge in 2012, he won the second place. In 2013 he attended Championship in Paris, France again winning the second place. In 2016 in Italy Ivan won the World Championship finishing at the 5th place. The last competition he participated was in 2017 in the UK winning the 1st place in this Championship. All of these competitions were part of the Yoga Sport Federation. Ivan Vlasov is a wonderful yoga instructor and he teaches yoga 3 times per week at Premier Luxury Mountain Resort in Bansko, Bulgaria. Please, contact Reception in order to book your seat at his unique yoga sessions. Enjoy his unique yoga sessions, uplift your spirit and elevate your senses. Yoga sessions take place every Wednesday, Saturday and Sunday at 12.00 o'clock. They will be held either in the Meeting room or in the Play room. Imagine yourself spending a date under the stars, while watching a movie. PREMIER likes to keep its guests involved in local events and suggest them try new things they will never forget. This July from 25th-28th you will have the chance to participate in the annual event “SUMMER CINEMA UNDER THE STARS” organized by the Bansko Municipality, “Nikola Vaptsarov” Library and the “International Mountain Film Festival” association. Enjoy the presentation of the best films which participated in the International Mountain Film Festival in Bansko. The screenings begin at 21:00 in the central square of Bansko and guess what! The entry is free for everyone. Don’t miss out on an opportunity to watch a movie under the stars among the refreshing vibes coming from the Pirin Mountains. You and your family will have a memorable time. In case you need an excursion that combines luxury, relaxation and adrenaline, then Bansko is the place-to-be. Travelen team visited Premier Luxury Mountain Resort, located on the foothills of Mount Pirin. “What else can one ask for? Premier Luxury Mountain Resort has everything one could need for an excellent stay in Bansko”. Being a woman is a 24/7 job meaning we have to conquer everything comes in our way on a daily basis. Therefore, when we go on holidays we are looking forward to relaxation and to being totally pampered! If you are a woman looking for beauty retreats, there is no better place to be than Premier Luxury Mountain Resort. The place where beauty meets you and your holidays! Every weekend you will have the chance to meet the leaders of the cosmetic industry: Clinique, Estée Lauder and MAC. Get ready to participate every weekend in a 2-hours seminar and learn all about your own beauty! Knowing what a powerful impact make-up can bring into a woman’s life, this is surely a chance that shouldn’t be missed. You will be offered make-up lessons that will help you enhance your natural beauty, you will explore the latest makeup trends given to you by our beauty specialists, you will receive experts’ advice on skincare products and skincare routine, always according to your skin’s personal needs. Our beauty professionals will be there for you ready to answer any beauty related question you may have. At the end of each seminar, your beauty routine will be neither ordinary, nor boring. Instead, you will be able to express your real beauty in the most creative way. This Easter, celebrate with us in the majestic environment of the Pirin Mountains.Easter is the perfect time for the family to get together. What better than to combine a family reunion with the last chance to ski for this Season. At Premier, we have created some traditional feasts which will allow you to relax and enjoy the re-birth of the nature around with your beloved ones.Feel the Easter atmosphere in this elegant hideaway and overindulge in PREMIER’s Easter treats. Explore Bansko’s legacy and mingle with its multicultural environment. -Candles and red eggs in your room for the Resurrection Service should you wish to attend. -On Easter Sunday, we will celebrate the traditional way with a special BBQ that is sure to include lamb on the spit and all the traditional elements. Before the lunch, you are welcome to watch the BBQ with some ouzo, rakia and meze to help build your appetite. It’s time you indulged in your Easter getaway. Definitely a great way to make this year’s Easter holiday a memorable one. For a 4th consecutive year both the citizens and visitors of Bansko will have the unique chance to combine extreme winter sports with the ultimate art of the Classical Ballet Dance.Save the Dates!From 4 until 6 January 2018 at 18.00, on the stage of “Nikola Y. Vaptsarov” Community Center the Ballet Troupe of the Varna Opera, along with guest-soloists of the Kremlin Ballet from Moscow will give a Classical Ballet Dance performance, inspiring your senses! Don’t miss this unique Festival. On 15th November, the renowned gastronomic maestros, Chefs Athinagoras Kostakos & Alexis Zopas from Scorpios Mykonos, playfully showed their talents and techniques elevating guests’ dining experiences through culinary artistry and excellence. Their Degustation Dinner was focused on Mexican – Cycladic Cuisine and the dishes were more than thrilling. Thank you for this superb experience! Chef Mario Perez Sanchez, a perfectionist at heart from Restaurante Leka in Barcelona, showcased the vibrant Tropical Peruvian Cuisine on 11th November. Tropical Peruvian Cuisine is a popular trend in the global culinary world at present and Mario Perez Sanchez made this night unforgettable to all his guests. The Degustation Dinner was more than exciting and his dishes were astonishing. Kudos Chef! Chef Thanos Stasinos from Nikkei Restaurant Athens, an accomplished Chef inspired by the variety and cultural wealth of the Nikkei Cuisine, participated in the 6th Gastronomy Festival, as well. The Chef combining wonderfully Japanese ad Peruvian Cuisine excited every guest during his degustation dinner night on 10th November 2017. His dishes were all one-of-a-kind. His unique approach made this Degustation Night amazing. This talented Chef, Gregor Funcke from Le Cordon Bleu Peru, conducted one of the most exciting Professional Culinary Seminars – “Modern Peruvian Cuisine” from 13-15 November 2017 during 6th Gastronomy Festival. The participants met this fascinating cuisine, tasted and got inspired by the extravaganza of flavors and learnt every professional technique from the expert ones. Peruvian Gastronomy has conquered a great part of the global culinary scene and it is becoming more and more popular. We experienced the Peruvian Cuisine at its best and learnt all the modern techniques and trends, applied at the best restaurants in Peru nowadays. Thank you Chef for this extraordinary experience! 6th Gastronomy Festival made PREMIER the place to be in Bansko Bulgaria this November. Have a little taste of this culinary journey! The distinguished Chef, Aldo Omar Morales from Le Cordon Bleu Mexico, participated in the 6th Gastronomy Festival, conducting a fascinating a 3-day Professional Seminar – “Modern Mexican Cuisine for 5* City & Resort Hotels” from 8-10 November 2017. All the participants learnt and discovered a great variety of valuable techniques in terms of cooking greatly at 5* Resorts & City Hotels and learnt every modern technique first-hand from the expert ones! The Chef Omar Morales, presented all the cherished secrets of the Mexican Cuisine, which is an emerging global trend in Gastronomy and in Tourism Industry. This extraordinary seminar took place in Premier Luxury Mountain Resort and was the first Professional Seminar of the 6th Gastronomy Festival. 6th Gastronomy Festival gave the opportunity to the participants not only to get inspired, but also to acquire useful knowledge that will help them elevate their career! Experience the most romantic holidays with your beloved one in Premier Luxury Mountain Resort. During summer or winter Premier is the ideal destination for you. Life just got better… Feel the Premier touch! Premier is among World’s Best Hotels!Premier Luxury Mountain Resort in Bansko, Bulgaria proudly announces that it belongs to the elite group, in the top 1% of hotels — one of the top businesses on TripAdvisor!Now in their 15th year, the Travelers’ Choice Awards are based on reviews and opinions of millions of travelers, which are in fact the voices of our enthusiastic customers and guests. We are more than pleased to announce that we belong among the Top 25 Hotels in Bulgaria, Top 25 Luxury Hotels in Bulgaria and Top 25 Hotels for Service in Bulgaria. In the 15th year of the awards, TripAdvisor has highlighted the world’s top properties based on the millions of reviews and opinions collected in a single year from travelers around the globe. Travelers planning 2017 trips can find inspiration for their next holidays in Bansko, Bulgaria and experience unforgettable moments. We are more that happy to exceed your expectations and give your vacations a true meaning. Discover our amazing Rooms and Suites, which will thrill up your stay. Last but not least, don’t miss our fully renovated Spa, one of the best spas in Bansko! On behalf of our Premier team, we thank you very much for your support! Keep on telling us your opinion & keep on travelling! Discover your winter paradise and spend precious moments with your beloved ones in a total white scenery. Have you ever seen so much snow? Well, in Premier most of our days are white and bright! 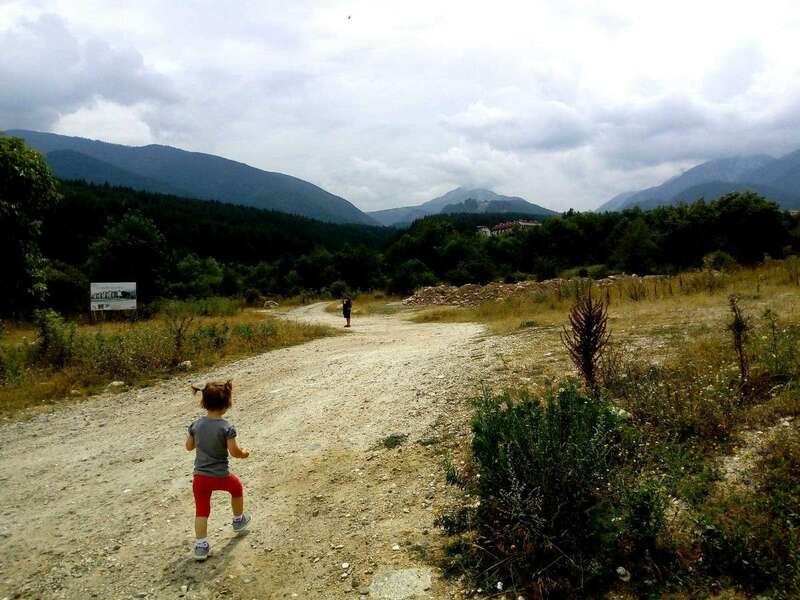 Enjoy a small preview of a lovely family escape in Premier in Bansko, Bulgaria. FIS World Cup Ski and Snowboard Cross World Cup join Bansko this January, creating a wonderful setting. Bansko becomes the place-to-be for all the ski and snowboard lovers and the atmosphere becomes festive. The fans of winter sports are ready to enjoy every single one of the perfectly prepared pistes, the picturesque natural sights, the crystal clear air and the plenty of mountain sun. Do not miss this one-of-a-kind festival from 26-28 January 2018!